Home » Articles-Blog » Is the subscription television model the answer for the embattled CBC? A friend recently sent me this link to a Macdonald-Laurier Institute debate between Mark Starowicz and Andrew Coyne, two of the country’s most respected journalists. The topic was “Does Canada still need the CBC?” It seems to me that Starowicz, arguing for the “yes” side, mopped the floor with Coyne. 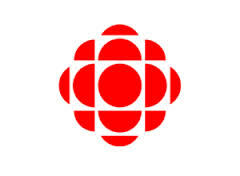 But there is more to be said about Coyne’s suggestion that CBC television ought to be dismantled, and spun off into a constellation of self-supporting cable specialty channels so that viewers could select what they wanted to subscribe to, rather than paying for the public broadcaster as a monolithic institution. In suggesting that CBC become a collection of subscription-based channels, Coyne fails to see that the same market dynamic is at work there as in advertising-supported TV–i.e. the need to maximize audiences as a way of achieving peak profits. It’s true that subscription TV like HBO doesn’t sell audiences to advertisers like regular commercial TV does—it sells programs to audiences. The model tends to drive program quality up, rather than down as in commercial TV where cost-conscious advertisers make the final assessment of a program’s viability. Nevertheless, quality is defined only within certain restrictive parameters defined by popularity and not by any conception of the welfare of the audience. They are defined, ultimately, by monetary return on investment. Market solutions like subscription and pay-per-view don’t work with public service broadcasting because the market is not democratic—one dollar, one vote, isn’t the same as one person, one vote. And public broadcasting is (or ought to be), above all, a democratic institution, universally accessible and dedicated to serving the public good. Nor are markets sensitive to issues of aesthetics and artistic merit, or to objective standards of quality of any kind (and they do exist). Commercial markets, whether advertising or subscription-financed, produce conservative programming, that is, programming that carefully avoids alienating any significant portion of the potential audience, which is their revenue base. Commercial broadcasters live in a much-simplified world in which the whole messy issue of quality is taken care of automatically: “We give the audience what it wants. How do we know it’s what they want? Because they watch it. What they won’t watch gets cancelled. What they watch a lot, gets replicated.” This is characterized as being democratic, but of course it’s not. For one thing, healthy democracies respect minority views. For another, decisions on what gets produced and what does not are not made by viewers, but by advertisers, or in the case of ad-free subscriber models, by those viewers willing and able to pay for a luxury product. Commercial broadcasters are innately risk-averse; they produce conservative programming, because that’s how profit is maximized. Ratings, in other words, are the commercial broadcaster’s handy yardstick of quality—neat, quantifiable, and of course entirely irrelevant to the issue of whether or not a program has any beneficial effect beyond, possibly, amusement or diversion. To have a beneficial effect is the raison d’étre of public service broadcasting. That’s what makes it worthy of public subsidy. Its entertainment programming ought to be not just diverting, but enriching and stimulating; its information programming ought to genuinely and usefully informative; its educational programming ought to be inspiring and challenging.